One of India's two largest smartphone vendors along with Samsung, Micromax has seen tremendous growth in recent years after having faltered initially with feeble attempts at making 'cheap' smartphones, like the Andro A60. It is either the largest, or the second largest phone maker in India, depending on which market research firm's data you rely on - Canalys or GfK. Either way, with big Chinese firms like Lenovo and Xiaomi throwing their hat into the Indian smartphone ring with high-specced low-priced offerings like the Redmi 2 and the A6000, it was a foregone conclusion that Micromax had to respond with something concrete in the budget category. Micromax had been teasing the upcoming launch of a new budget device for long now and today, they made good on that promise and launched the Canvas Spark in India for a fairly convincing price-tag of Rs. 4,999 ($82). The phone will be available to buy in White-Gold and Grey-Silver color options and will go on sale exclusively via online retailer Snapdeal from April 29 onwards. The phone will follow the 'flash sale' model, first popularized by Xiaomi, and the registrations for the first such sale on April 29 will be starting tomorrow at noon. Those lucky enough to be able to snap up the devices, will also get some freebies thrown in including two months of free 500MB 3G data for Vodafone users. As far as the hardware is concerned, the Canvas Spark sports a 4.7-inch qHD (960—540 pixels) display and comes with Gorilla Glass 3 protection. 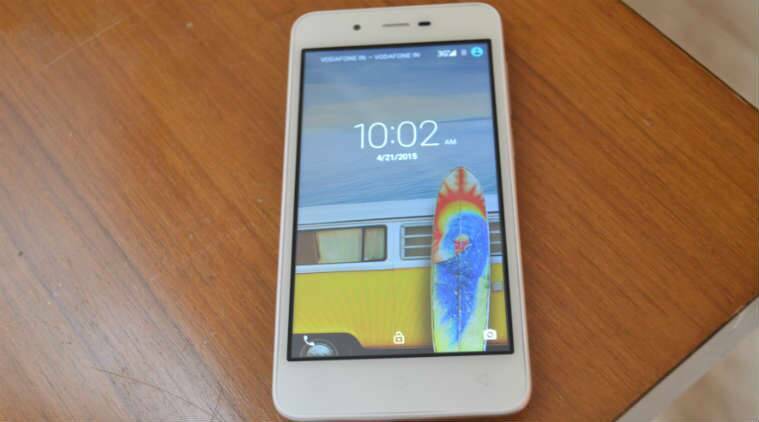 the device is powered by a 1.3GHz MediaTek MTK6582 quad-core processor and comes with 1GB of RAM and 8GB of internal storage expandable with a microSD card and a 2,000 mAh battery. It comes with the predictable dual-SIM support and will feature an 8-megapixel rear camera and a 2-megapixel selfie camera. The phone however only comes with 3G support and this is one area that might restrict it's appeal amongst sections of the buyers. Other connectivity options will include Wi-Fi, Bluetooth and GPS. On the software front, it runs on Android 5.0 Lollipop out-of-the-box which is more than what can be said about most devices at this end of the smartphone spectrum.